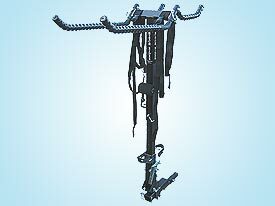 Hitch-mounted bike racks for all bicycle styles, recumbents, tandems and cycles with unique frames. Hitch Rider offers two hitch mount bike carriers to transport your bicycle: the Long Bed platform bike rack and the Truckee Switch support arm rack. The Long Bed transports all bicycle styles, including recumbent bikes and tandem bikes. The Truckee Switch bike rack is easy to load and the simple support arms carry all types of bike frames, including Electra Townie and beach cruiser bikes. 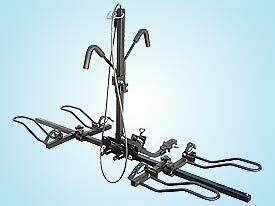 Both racks fit into your vehicle's 1 1/4" or 2" receiver hitch (patented).